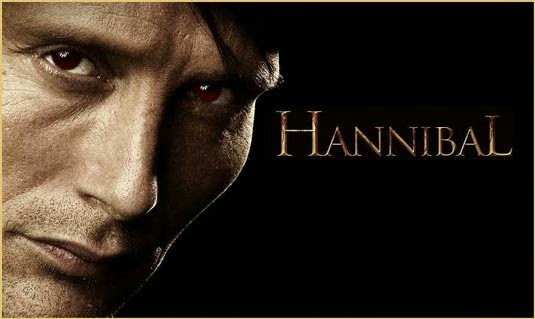 The Changing Tide: Did GetGlue Save Hannibal and Can the Social Network Rankings Help Once Upon A Time in Wonderland, Haven and Other Shows? So I have been tracking the Social Network Ranking this season which measure social activity on sites like Twitter and GetGlue, and the fact is that sci fi shows tend to be doing quite well there as opposed to the performance we typically see based on the old-school Nielsen ratings system. While there are currently only three broadcast network shows in the Top 25 based on their 18-49 rating (Agents of SHIELD, Sleepy Hollow, and Once Upon A Time), the GetGlue Top 10 is dominated by the genre. And fifth place network The CW has done particularly well there with Supernatural, Vampire Diaries, Arrow, and new entry The Originals all making regular appearances so far this season. And the fact of the matter is that genre shows performing well in these rankings really means . . . well . . . um . . . I don’t truly know at this point. But I do believe that this new way of tracking audience engagement could become an important factor in gauging the success of a show. Sci Fi fans regularly argue that the Nielsen ratings system–which the networks currently rely heavily upon–is inaccurate and out of date. The most common accusations against it are that the system relies on faulty sampling and that it has not keep up with technology by monitoring delayed viewing, internet streaming, episode downloads and more. The Nielsen Company has made some attempts to adjust to the times and claims they will start to broaden their measurements, and they are now tracking Twitter activity, but the old-school overnight ratings (the ones that do not count DVR viewing beyond Same Day or internet streaming) are still heavily driving network decisions (we have already seen multiple cancellation–though no genre shows yet–based on them this early in the season). The new system of tracking social network activity could start to change the tide, but that will only happen if sponsors embrace them and start to look at that as a new way of marketing their products. Currently both Nielsen and GetGlue are tracking social activity relating to television shows and both are getting considerable attention. The former tracks activity on twitter three hours before a show airs, during the broadcast, and three hours afterwards. The Top 10 that they currently publish each week combines broadcast network and cable airings. The latter site is built around watching television (and movies) and it lets people “check in” and make comments and interact with other users watching the same show. The GetGlue charts track this activity and I believe they factor in activity from other social network sites, though I’m not quite about the timing and whether it centers around the live broadcast or not (I am contacting them to get further information on how their tracking works). GetGlue publishes two charts weekly, one for broadcast network shows and another for cable airings. On the Nielsen rankings this season, so far Vampire Diaries made the list the first week though it dropped out after that one appearance. Since then, the only genre entries have been The Walking Dead and American Horror Story and the former topped the chart in the week of its Season 4 premiere. The GetGlue charts on the other hand have been dominated by sci fi / fantasy shows this season with the past two weeks having eight out of ten genre entries on the broadcast net list and four to five on the cable list. Most interesting here is the lower rated shows like The CW entries, Syfy’s Haven, and ABC’s new Once Upon A Time in Wonderland which has fallen flat in the Nielsen ratings in its inaugural season. Now the fact is that quite a number of these are youth-skewing shows and the younger crowd tends to be more active on the social networks. But still, this is measuring a sizeable audience that advertisers have a desire to reach out to. And it will take the sponsors getting more involved to make these rankings truly have an influence on network decision making. Companies could start paying to advertise on a show’s official site (perhaps they already are) and maybe start advertising on GetGlue as well (though I don’t know how the networks would benefit from that). Or maybe companies will pay attention to these rankings and start buying add spots for lower rated shows because they believe that represents their target audience. But in some form, these rankings will likely have to generate income towards recouping productions costs for them to make an impact on network decision-making when it comes to the renewal or cancellation of a TV series. Still, with that said, we may have already seen an example where these social rankings did make a difference with NBC’s psychological/horror series Hannibal from last season. That series had a late-season bow in April–a factor which often negatively impacts ratings–and it was scheduled in the Thursday night 10 PM EST timeslot, a rough hour for most networks, especially NBC the last few years. The show actually started with decent numbers for its network in that particular hour (a 1.6 rating in the 18-49 demographic based on the overnights), but it started a downward trend after a few episodes and wrapped up with a rather tepid 0.8 score from the Nielsens. And yet Hannibal was renewed for a second season and touted by the network as a win for quality television on their schedule. So with such a lukewarm ratings performance, how did this series manage to win its second season renewal? Part of this could very well be the weight that the Hannibal franchise holds with its multiple feature films pulling in over a billion dollars total at the box office as well as a series of books by original author Thomas Harris. Part of it could be that the show received accolades from critics and was hailed as an example of quality television on the Prime Time Schedule. 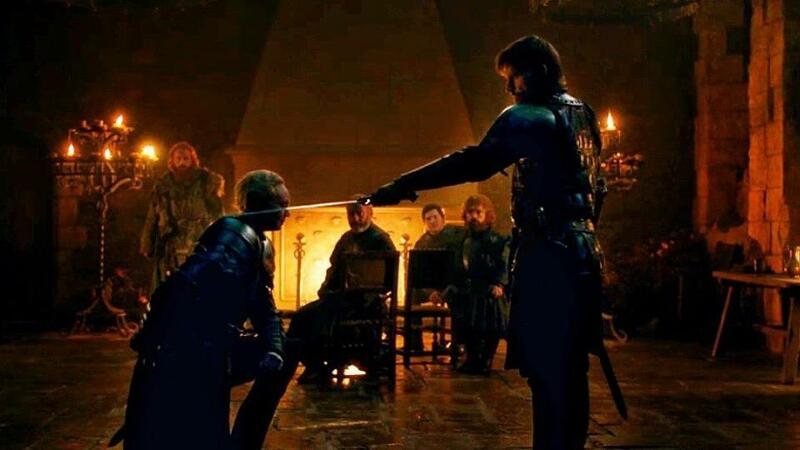 But then there is also the fact that the series regularly topped the GetGlue charts during its run and it had a strong presence on Twitter especially right around the time of its live airings. It’s hard to gauge how much influence its social network presence had, but the fact is that it did no better in the ratings than the previous year’s Awake in that same timeslot and that one got the axe. So going into the current season, perhaps the best way to judge is to see if shows performing poorly in the ratings but well on the Social Network Rankings are given a bit more leeway. And we could have an immediate test of that with ABC’s Once Upon A Time in Wonderland. That series debuted poorly a couple of weeks ago with only 1.7 rating in the 18-49 demographic based on the overnights. Then in its second week it dropped to a 1.2 score. Last season, ABC’s Zero Hour also faltered in the same Thursday 8 PM EST timeslot and the network yanked it from the schedule after three weeks. If Wonderland continues to sink, it would be reasonable to expect ABC to make a move after this week’s episode based on what they did with Zero Hour last year. However, Wonderland has landed in the GetGlue Top 10 with both of its first two episodes, so if the network stays its hand, maybe that plays a part in their decision-making. There are other factors, though, such as the fact that the show is close-ended and will wrap up its story after one season (with other story possibilities in the wings if it did do well in the ratings) and also the likelihood that it will just get tacked on with parent series Once Upon A Time in any syndication package. But if Wonderland stays popular on the social networks, there’s a chance that may keep it afloat as well. Syfy’s Haven is one more that is worth keeping a close eye on this season. That show has thus far pulled pretty tepid ratings in its fourth year (only a 0.4 in the 18-49 demo based on the overnights), and it seems reasonable to expect a cancellation based on where shows like Eureka, Sanctuary, and Alphas were when the network axed them (all but Alphas were one or two ticks higher than where Haven is now). At best, the show can hope for a final shortened fifth season to wrap up its storylines. However, Haven has regularly appeared in the GetGlue Cable Top 10 this season (though usually in the lower rungs), and that may help keep it alive. I believe it is also a less expensive entry than the ones mentioned above, so that could help it as well. 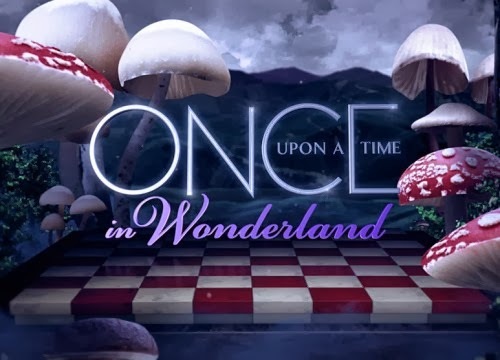 But both Haven and Once Upon A Time in Wonderland could give us some early indications on whether these new Social Network Rankings could help shows that are delivering poor numbers based on the old-school Nielsen ratings system. It may be hard to gauge for sure at this point, but I’m thinking by the end of the current season, we should have a better idea of the impact. And perhaps those tyrannical Nieslens will finally be toppled as many sci fi fans have long hoped for and they will be replaced by a system that more accurately gauges the viewership and popularity of a show. Did you know that Babylon 5 creator J. Michael Straczynski wrote a proposal for a Star Trek reboot years before the J.J. Abrams movies came out? Did you know that Han Solo was originally supposed to be a green-skinned alien and some of the early actors considered for the role included Billy Dee Williams, Al Pacino, and Chevy Chase? How about that FOX originally wanted someone more like Pamela Anderson to play the roll of Scully on The X-Files? Or that in 1974, science fiction author Arthur C. Clarke predicted the Internet? Ever hear of Varney the Vampire? Find out the truths about these and more in Sci Fi Trifles. Trivia, anecdotes, little known nuggets and more that present an addicting glimpse into the story behind the story of sci fi. Once you’ve started reading them you will wonder how you have managed to life so long without knowing them! Available now for only $2.99 on Kindle from Amazon.com.